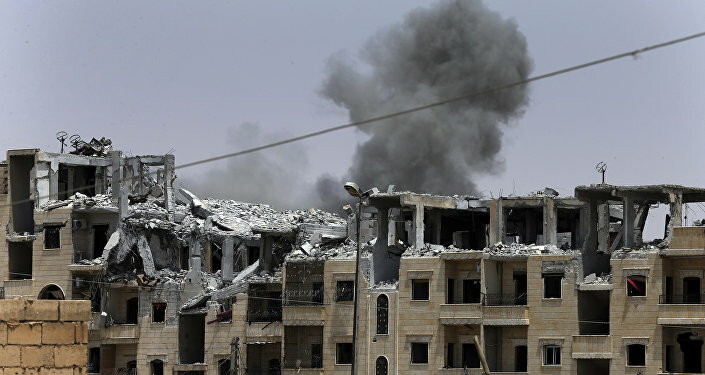 MOSCOW (Sputnik) - The United States regards its presence in Syria as a strategic tool and will maintain it unless Iran withdraws its forces from the country, which is a highly unlikely scenario, former UK Ambassador to Syria Peter Ford told Sputnik. "The United States regards this territory as pawns in a chess game. It will not surrender any of these pawns except in return for, principally, withdrawal of Iranian forces from Syria," Ford said. Washington has been insisting that Iranian military had been present in Syria. Reacting to these accusations, Tehran, in turn, repeatedly denied it, explaining that Iranian army advisors have been the only country's military presence in the country upon the Syrian government's authorization. It has also been confirmed by Syria itself. "We can state with certainty that Iran will not leave Syria for as long as there’s one pair of American military boots on Syrian soil. And Iran will not leave in fact until Idlib is liberated," he added. "We must, I’m afraid, look forward to the US continuing to occupy the Kurdish-controlled area Al Tanf… The outlook is for a long-term freeze of the American occupation of these parts of Syria. I find it hard to envisage scenario at least in the short or medium-term where they leave," the retired diplomat concluded. The former UK Ambassador has suggested that Kurds would ultimately be pressured by the non-negligible Arab tribes in areas under Kurdish control to reach an agreement with the Syrian government and ask the United States to withdraw. Meanwhile, the United States has around 2,000 troops in Syria, who secure rural outposts, work as advisers to the Syrian Defense Forces (SDF) or provide other support to local militias and armed opposition forces in three territories: the northwestern Idlib province, northern Kurdish-majority autonomy known as Rojava and a 34-mile zone around its Al Tanf base in Syria’s southeast. 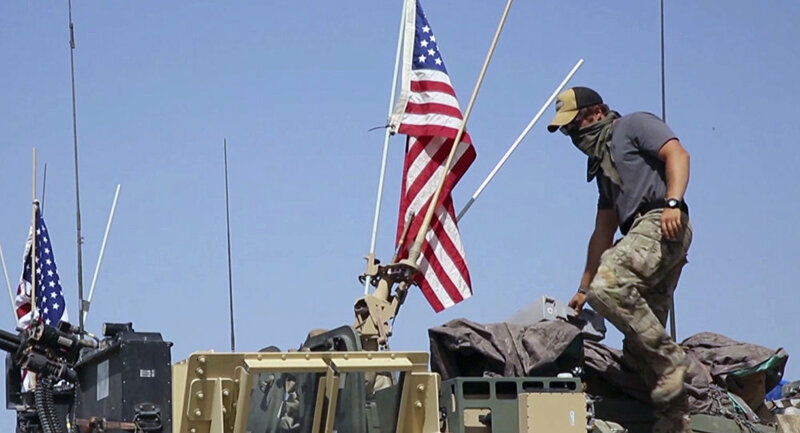 Al Tanf turned into a key hub for US forces and armed Syrian opposition forces. Former UK Ambassador to Syria Peter Ford has also commented on Syria’s future. "These Astana talks do have a merit of bringing Turkey and Russia closer together and in the absence of the US. To that extent they fulfil a need which is to exclude the US from any discussions and to bring together Russia and Turkey which alone control the fate of Idlib," Ford said. He ruled out European powers as "true partners for peace" in Syria, arguing that the Geneva talks to this effect had gone nowhere. Meanwhile, cooperation between Russia and Iran had proven to be "absolute core and key for future developments" in Syria, Ford said. 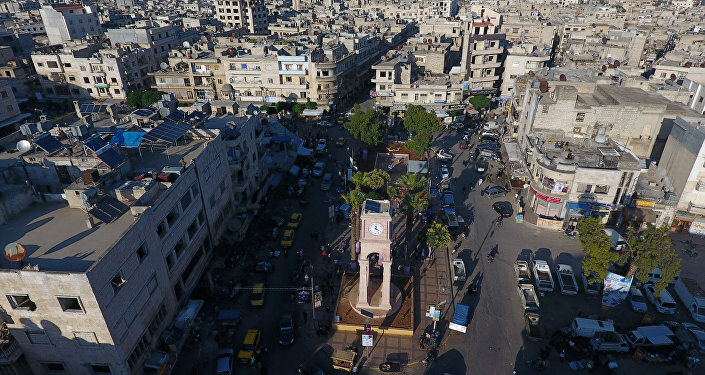 "They have managed to establish some level of cooperation with Turkey, and this has helped to prevent the worst in Idlib area with the Sochi agreement. The European powers are in a different category, I would not regard them as true partners for peace. But the triumvirate of Turkey, Russia and Iran will ultimately decide the fate of Syria," he said. The retired British diplomat said Russia and Iran would continue to guarantee the survival of the administration of Syrian President Bashar Assad, whom the United States is seeking to remove from power. The three guarantors of Syrian peace met in Astana last week for the 11th round of talks between the Syrian government and armed opposition, where they reaffirmed the ceasefire in the northwestern Syrian province of Idlib.